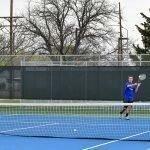 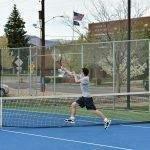 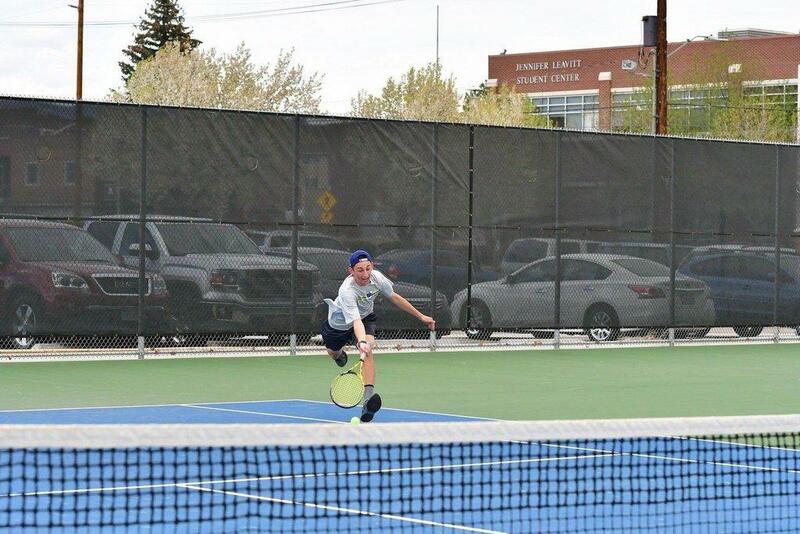 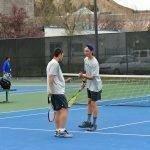 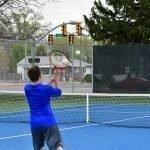 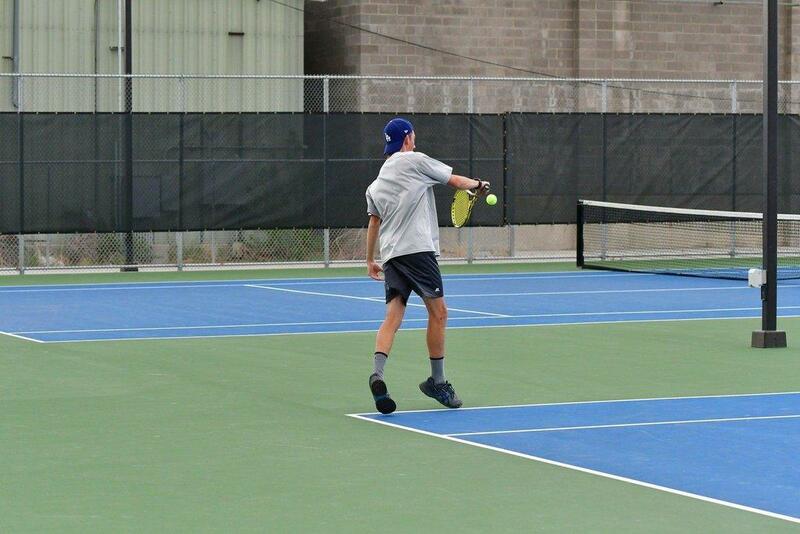 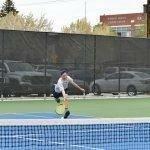 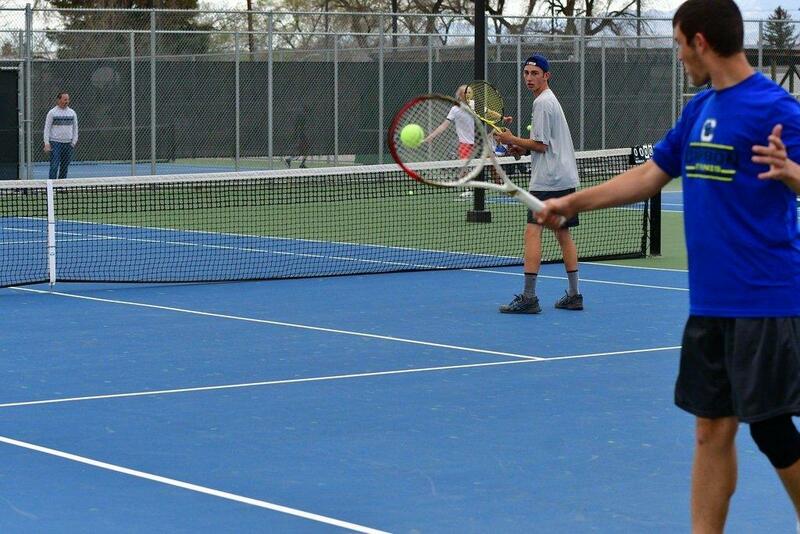 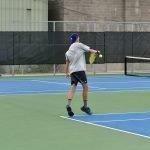 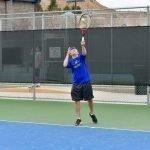 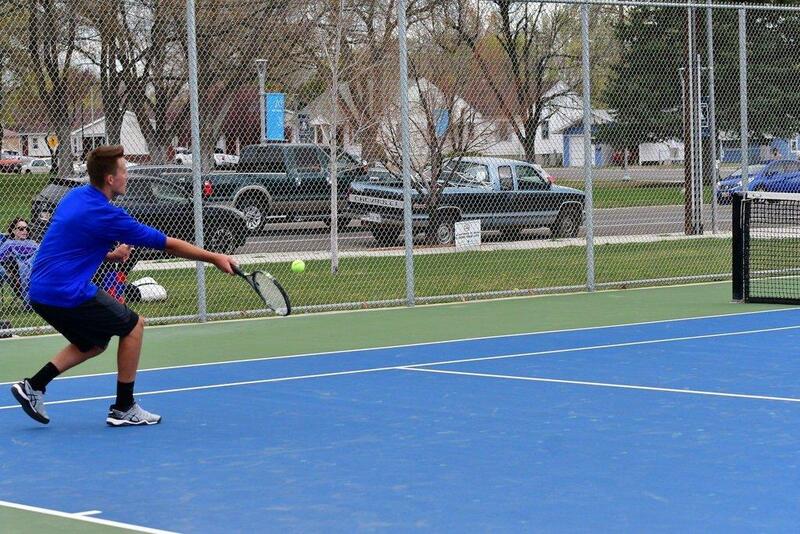 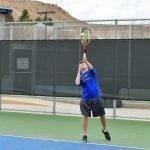 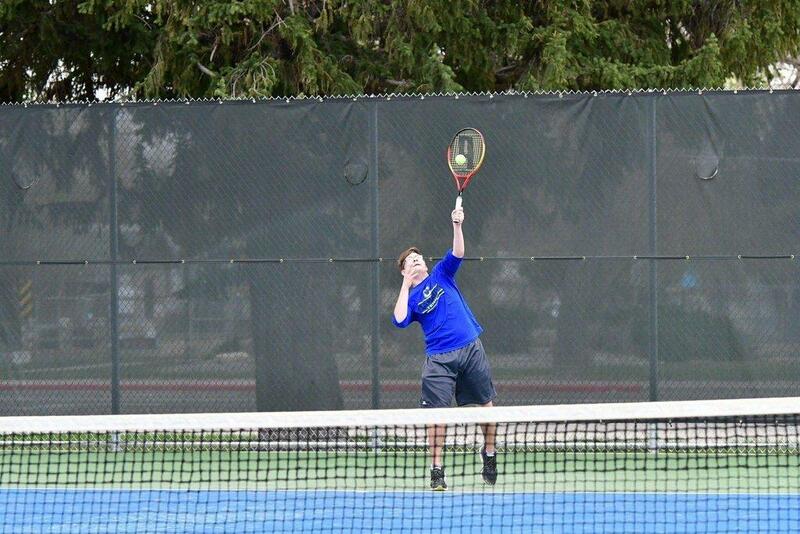 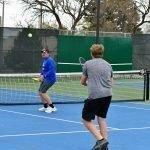 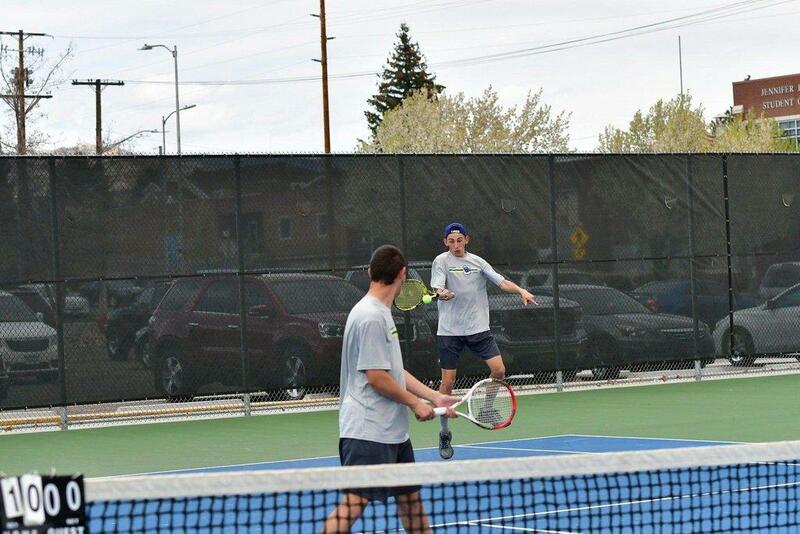 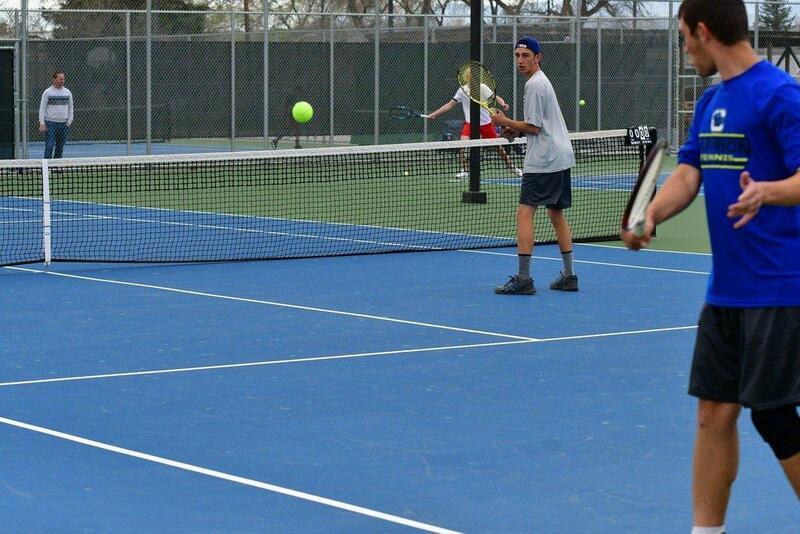 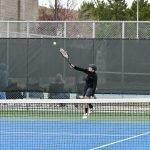 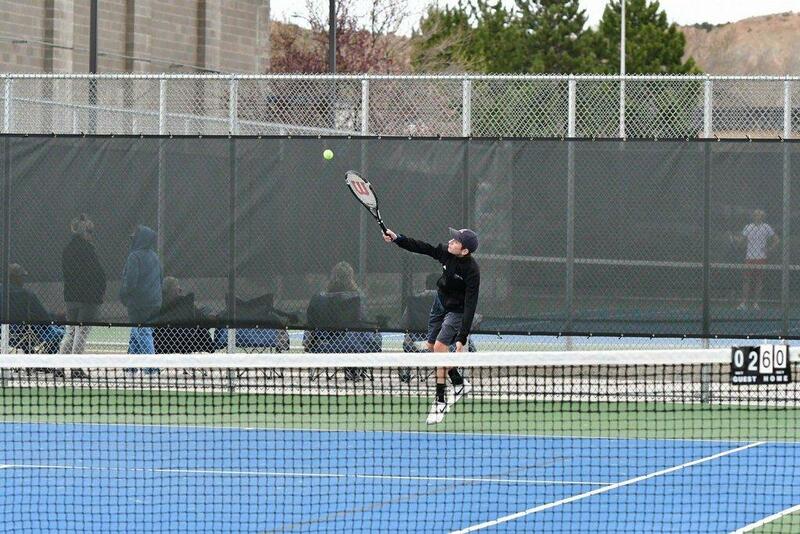 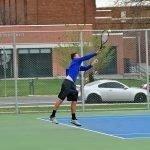 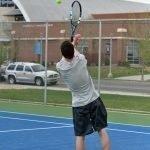 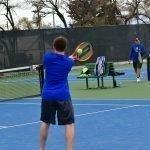 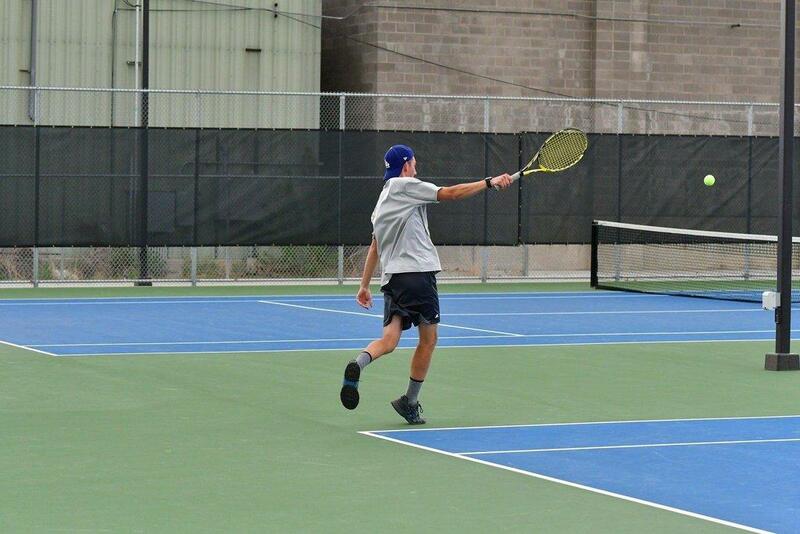 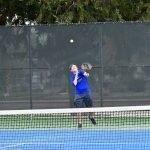 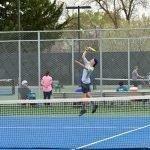 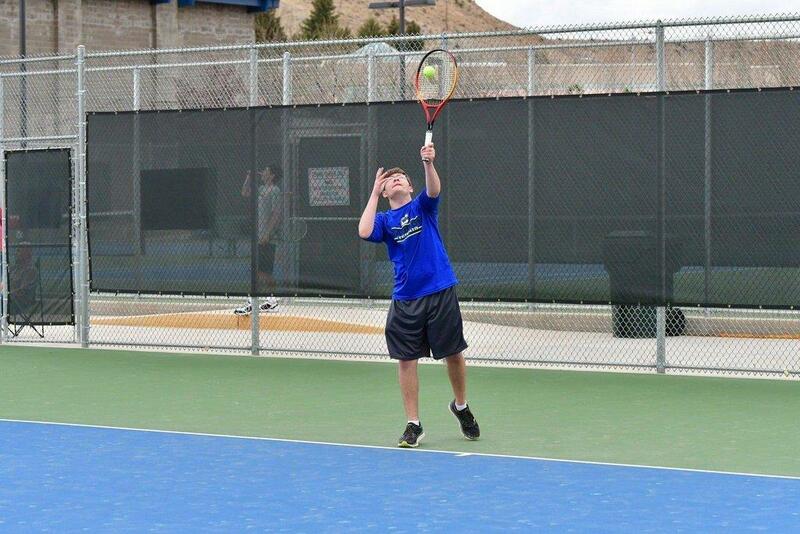 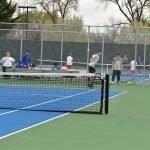 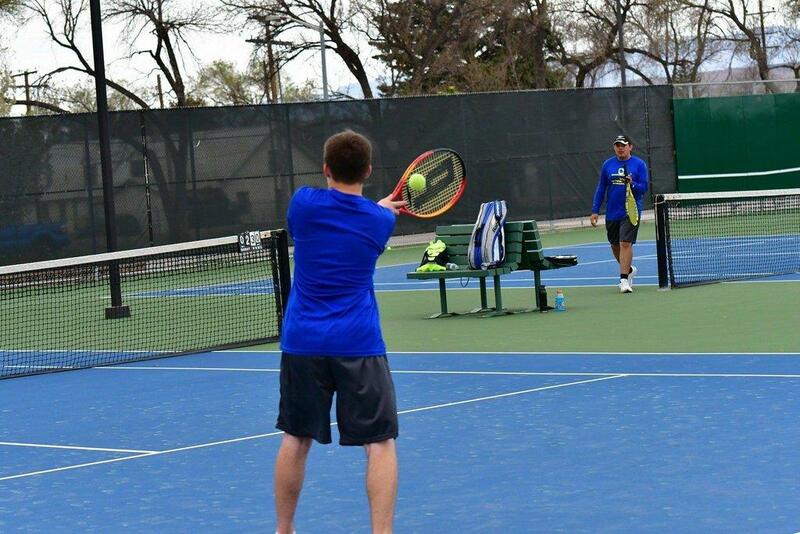 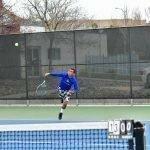 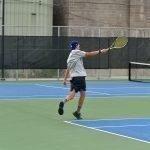 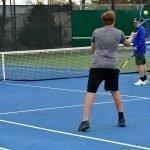 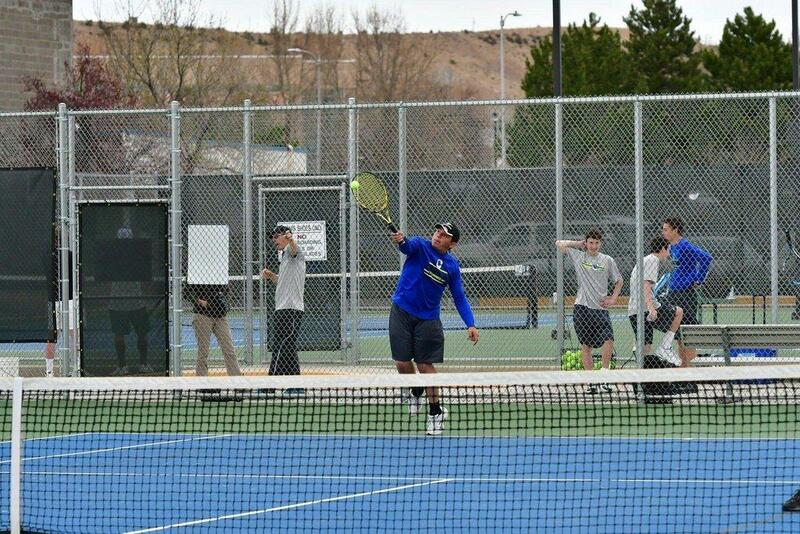 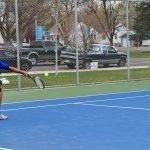 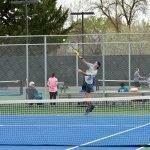 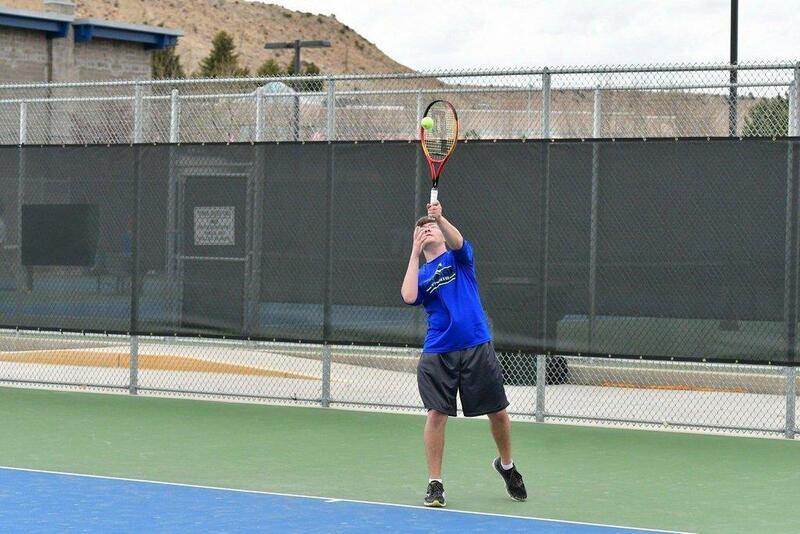 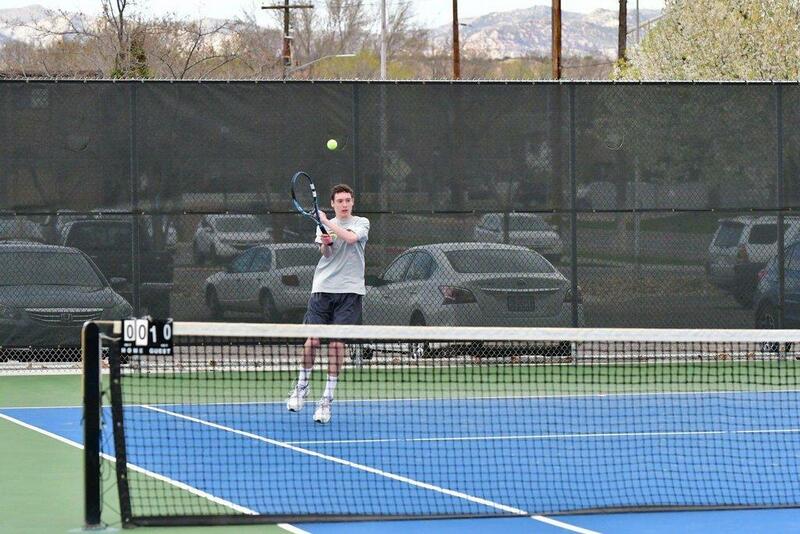 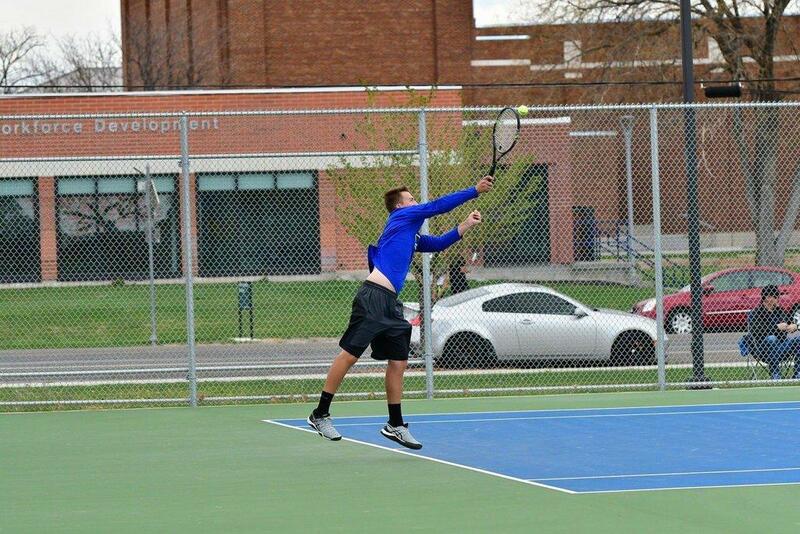 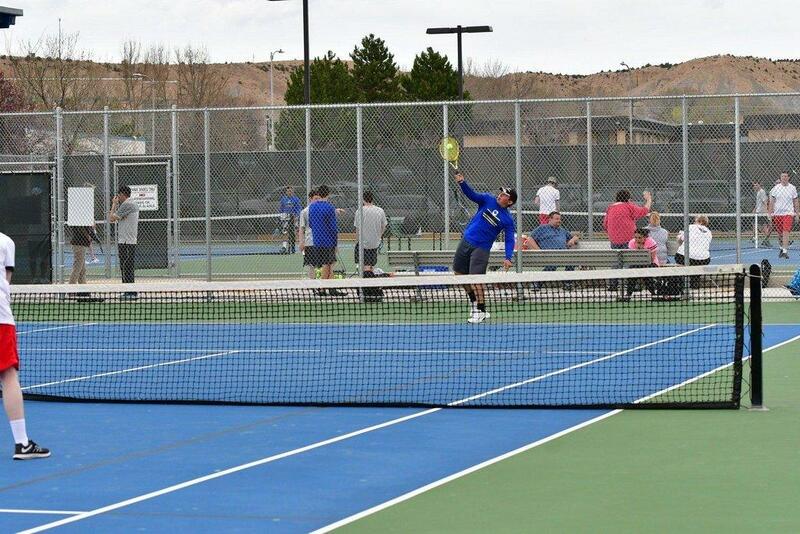 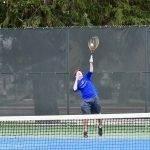 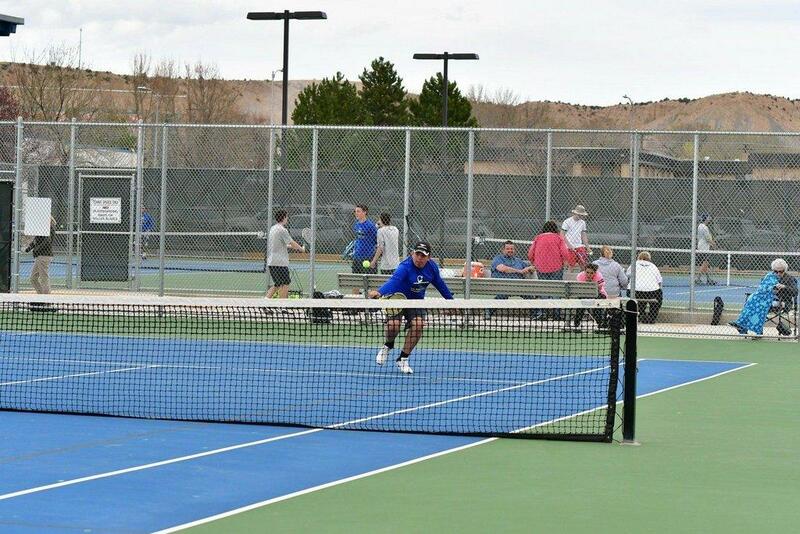 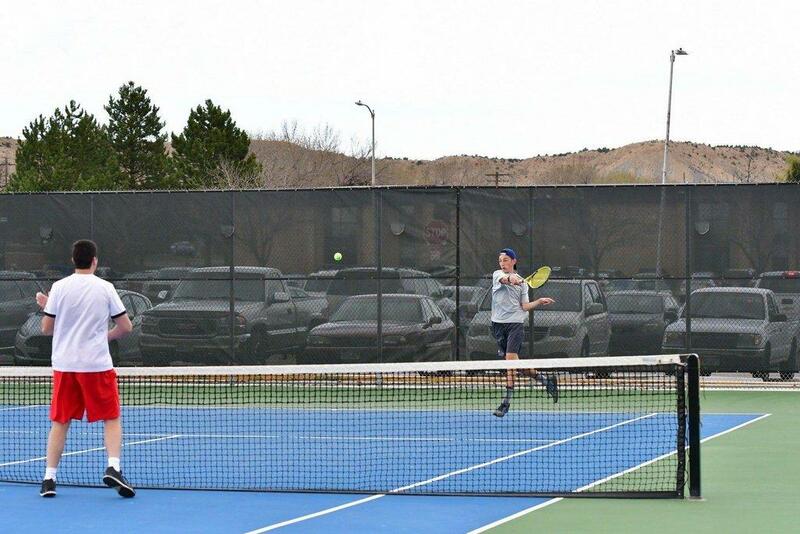 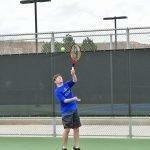 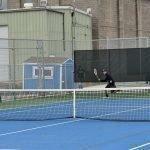 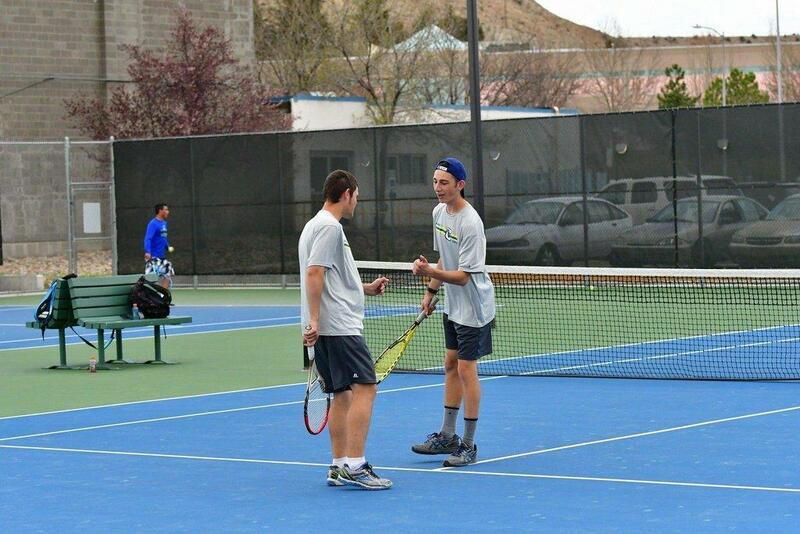 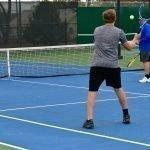 As the Carbon Dinos boys’ tennis continued the season, they found themselves playing in matches on Thursday and Monday. 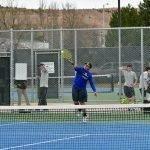 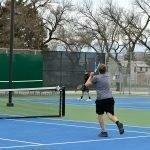 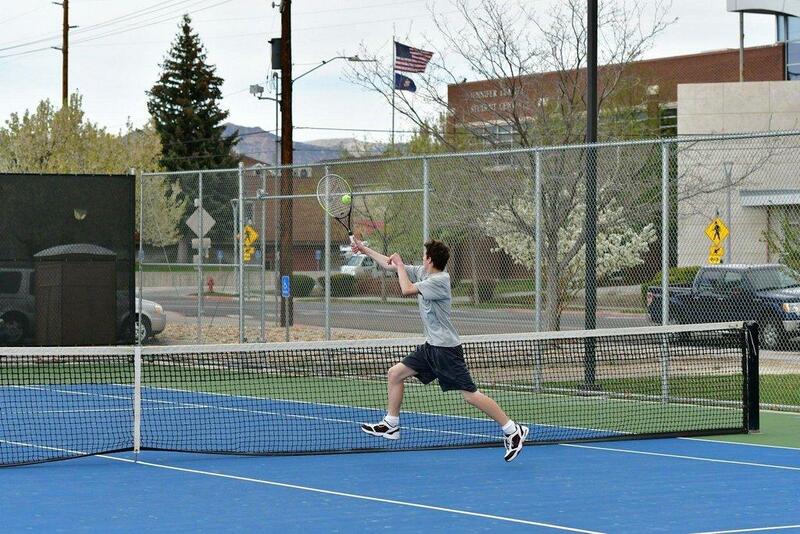 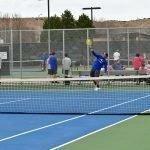 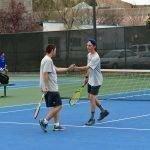 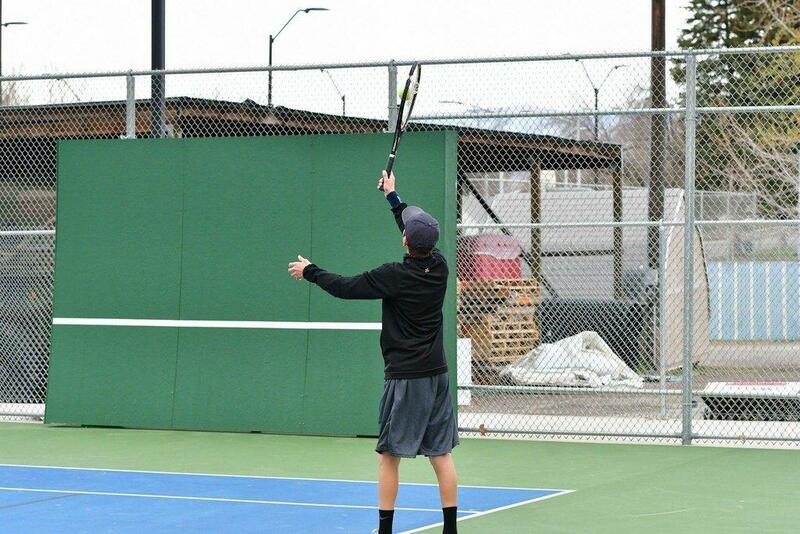 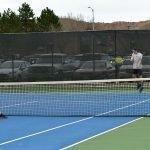 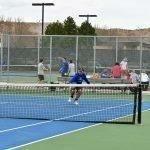 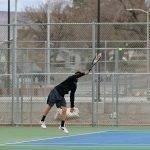 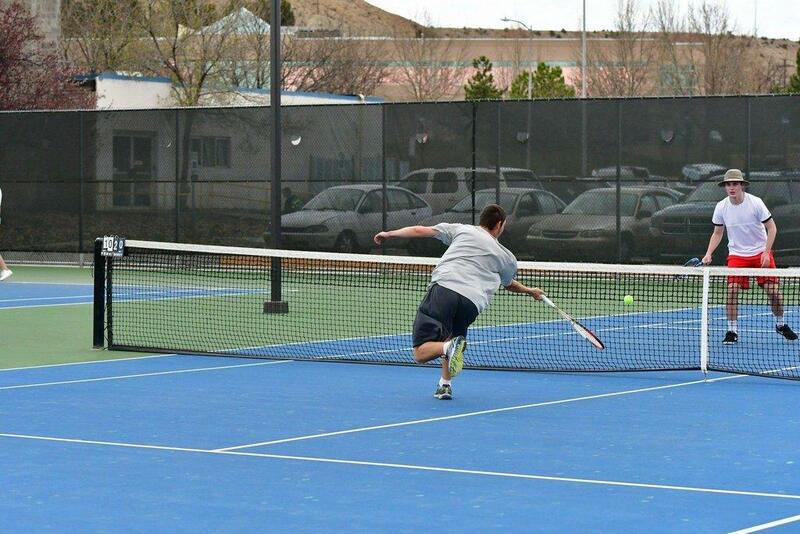 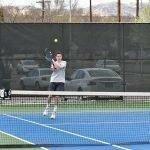 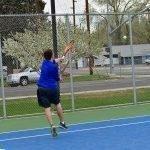 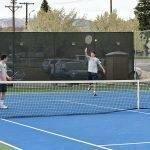 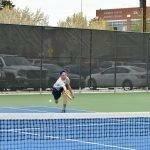 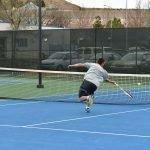 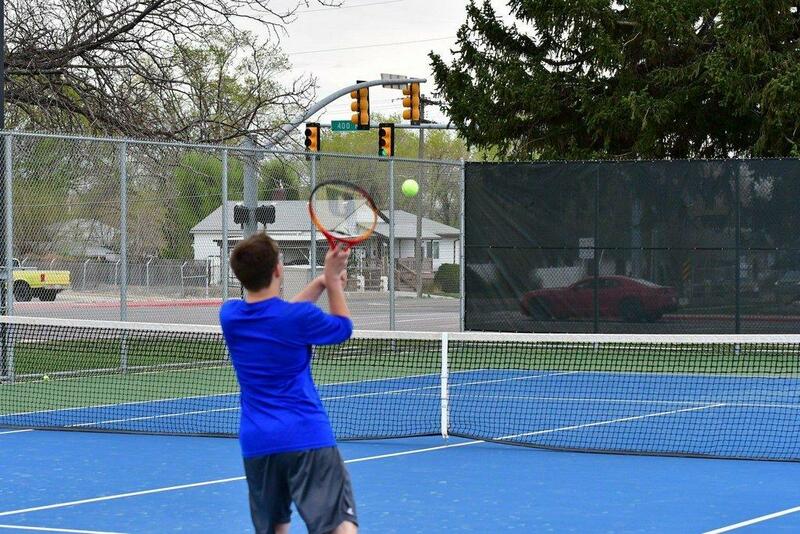 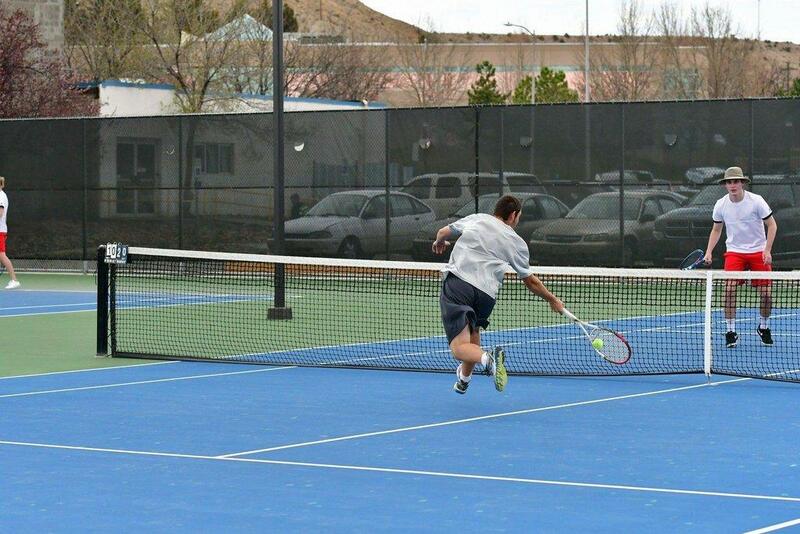 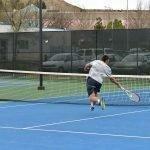 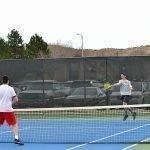 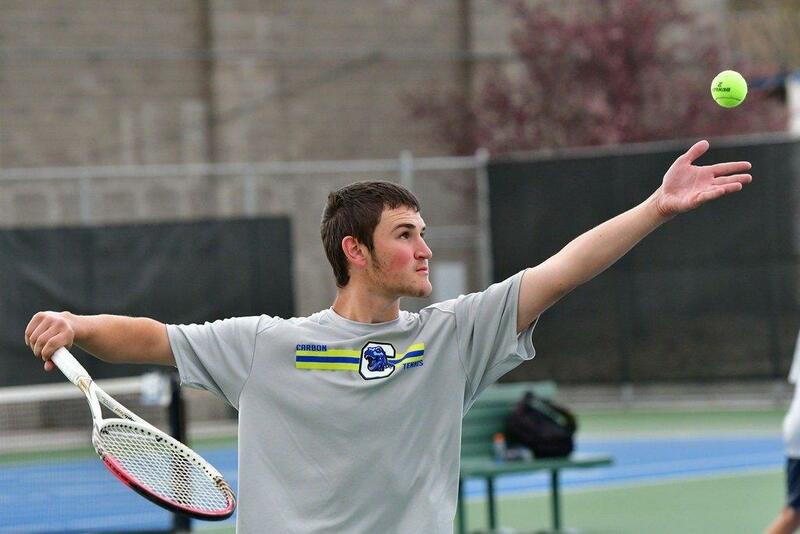 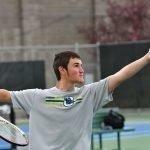 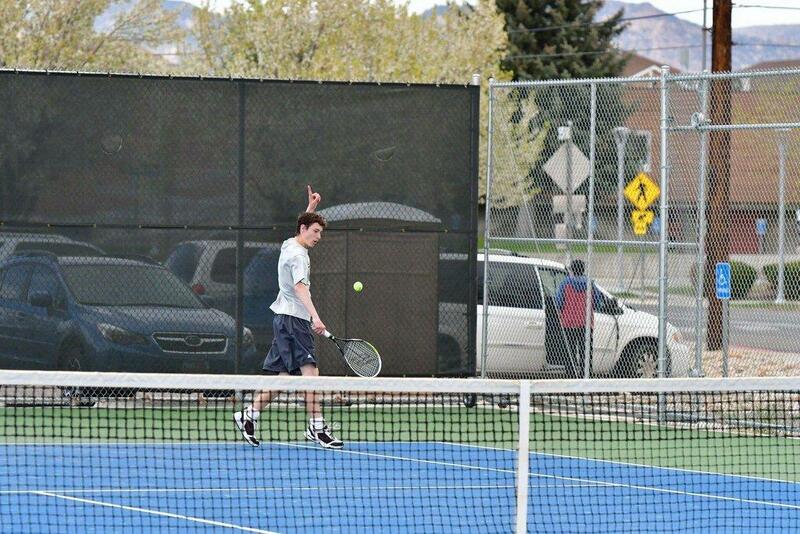 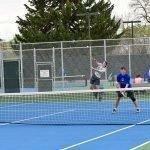 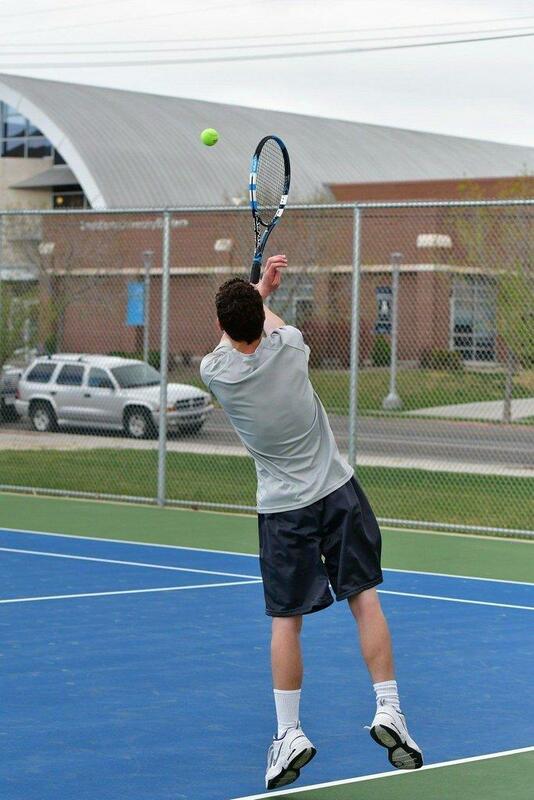 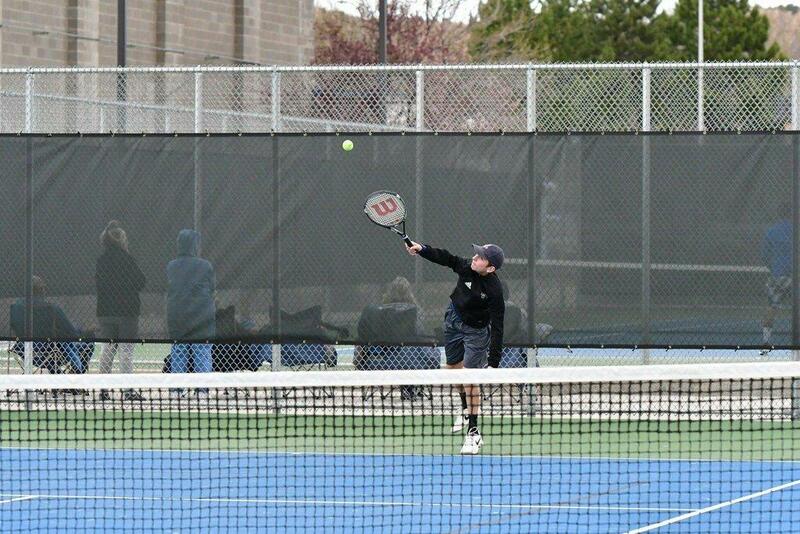 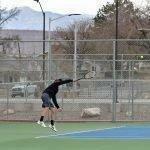 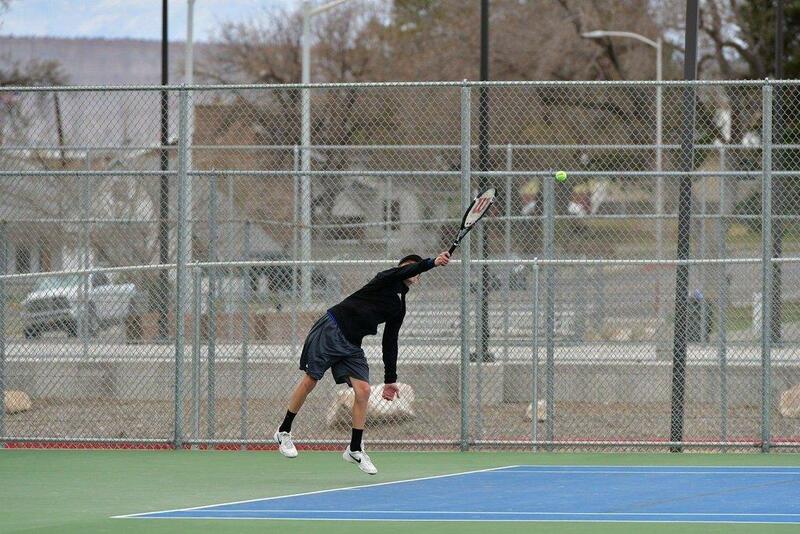 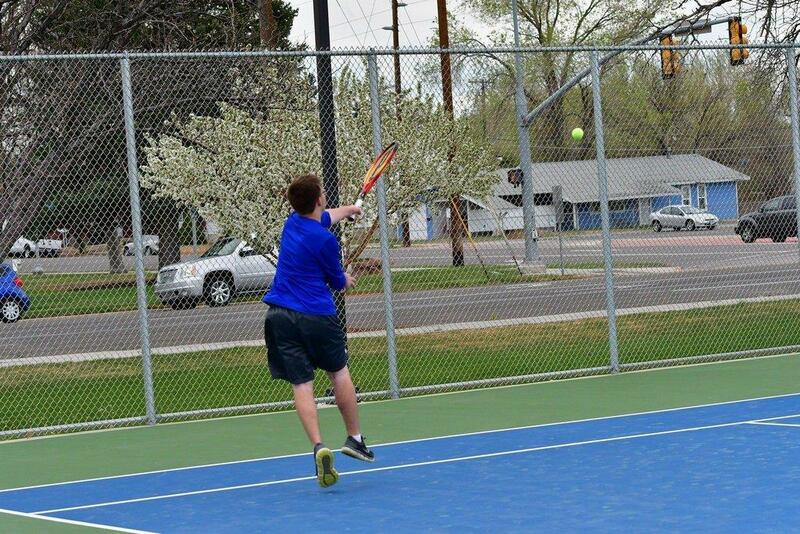 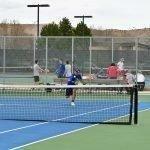 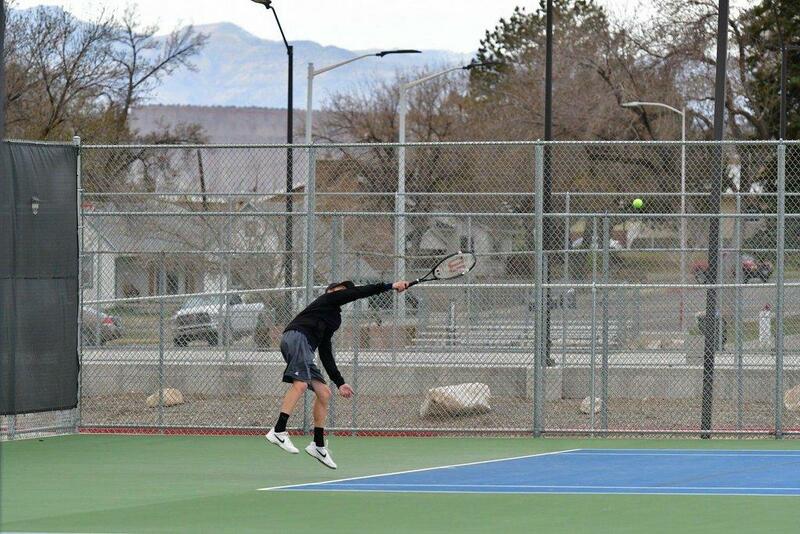 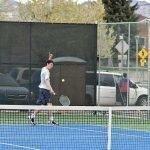 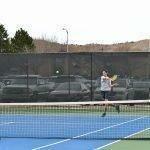 The first, a match at Juab, showed final scores of 3-2 with Juab coming out triumphant. 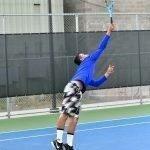 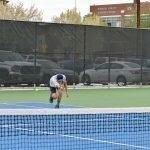 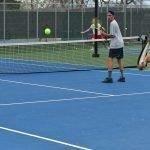 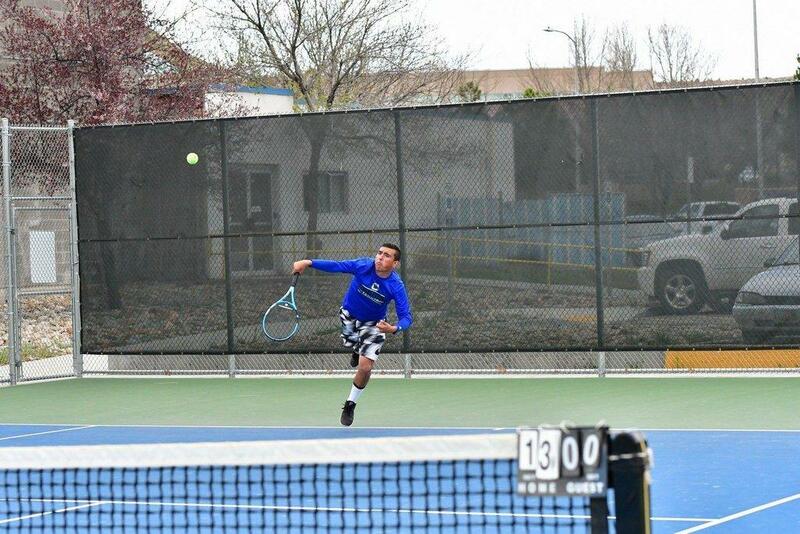 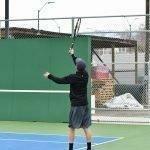 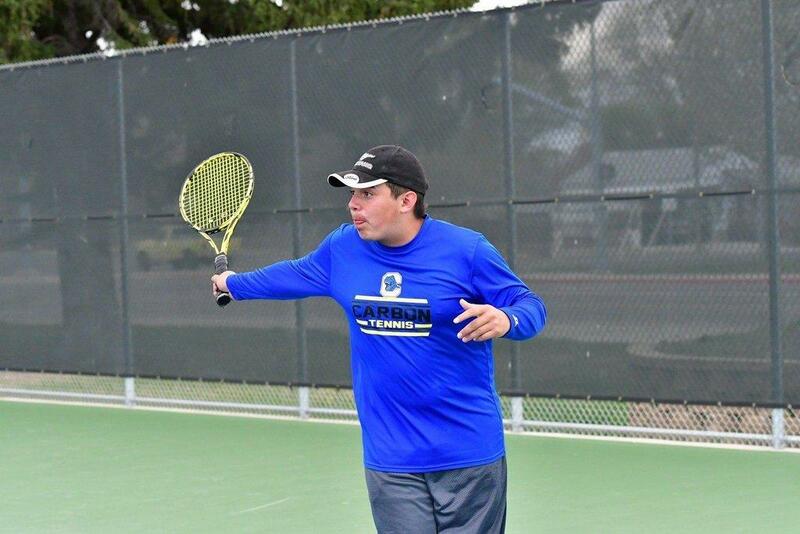 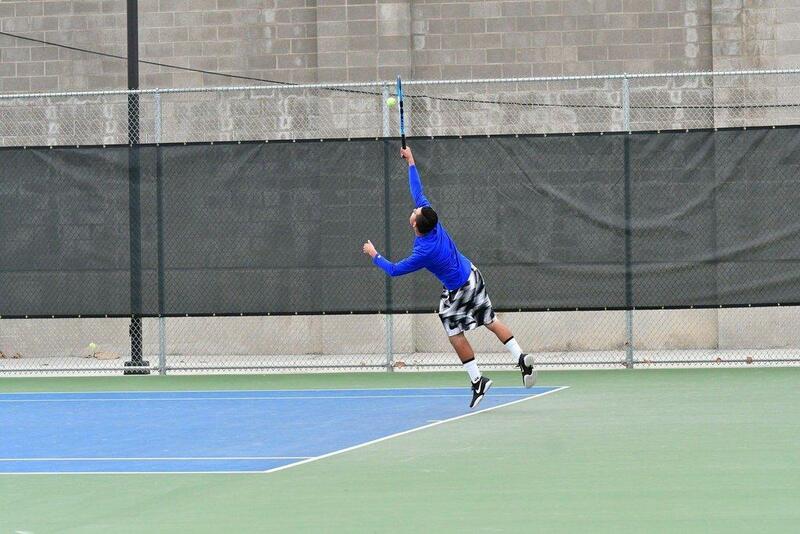 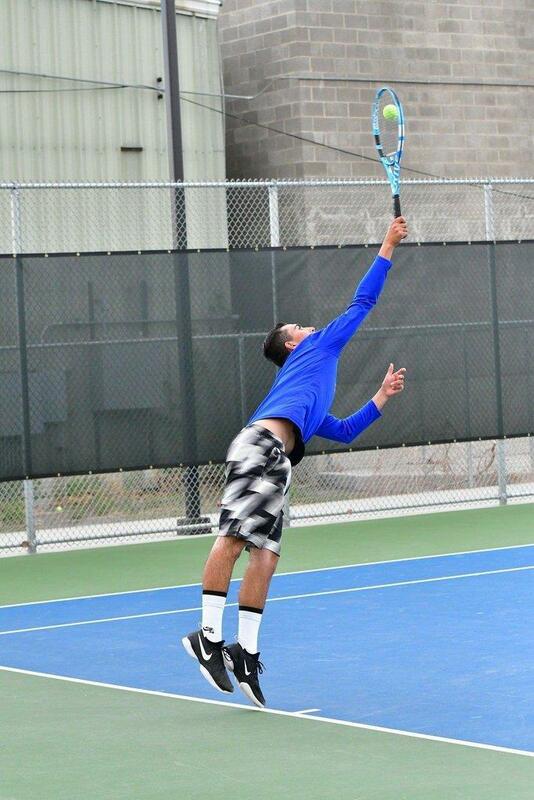 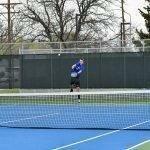 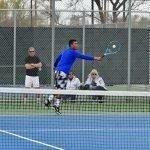 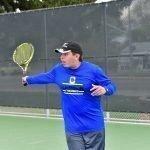 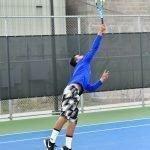 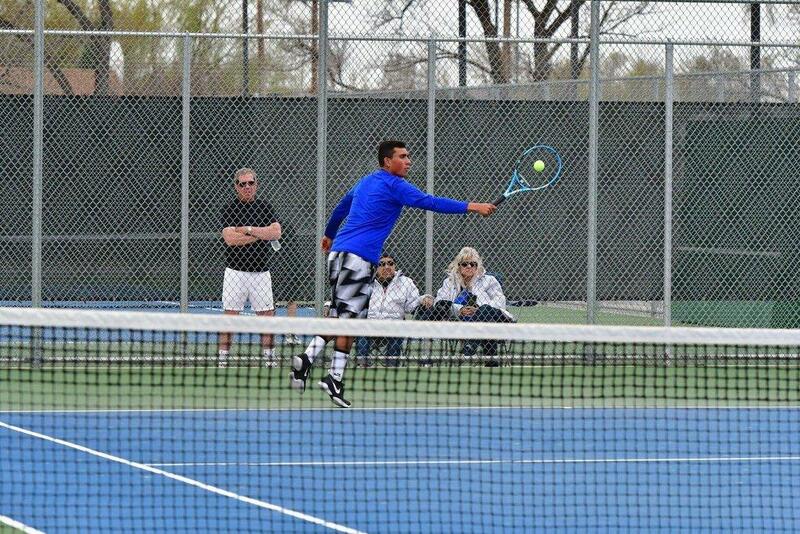 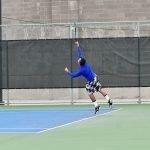 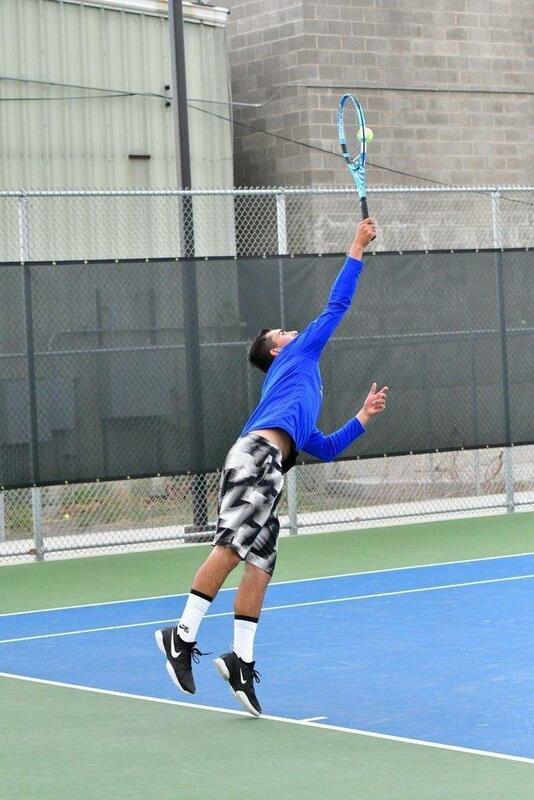 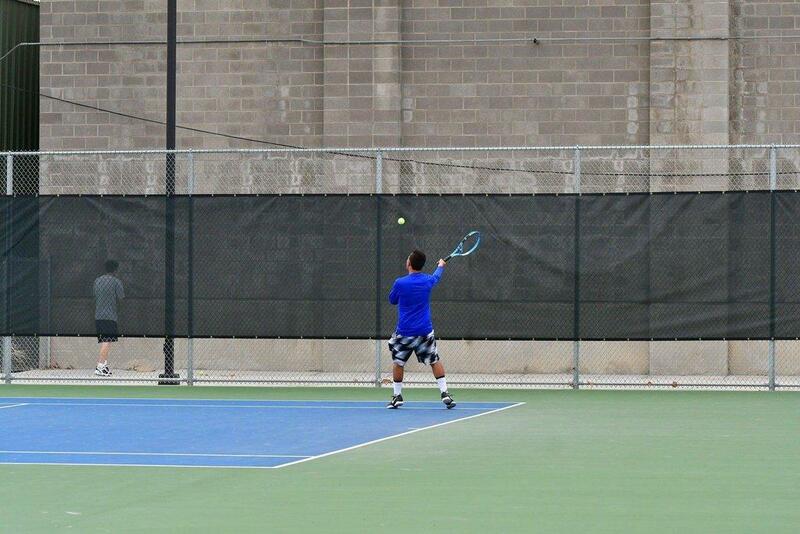 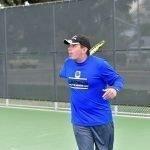 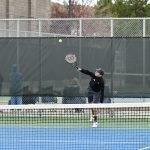 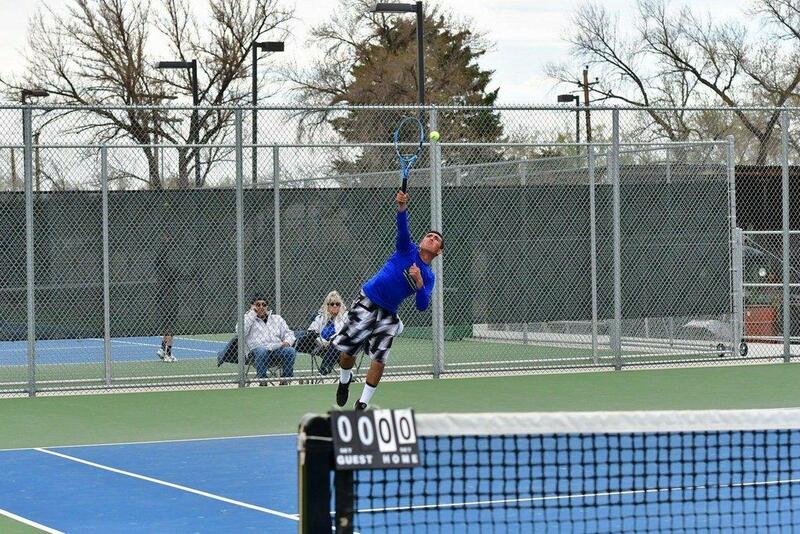 At first singles, Zade Carrillo played well but was unable to snag a win, finding the finding score to be 3-6, 3-6. 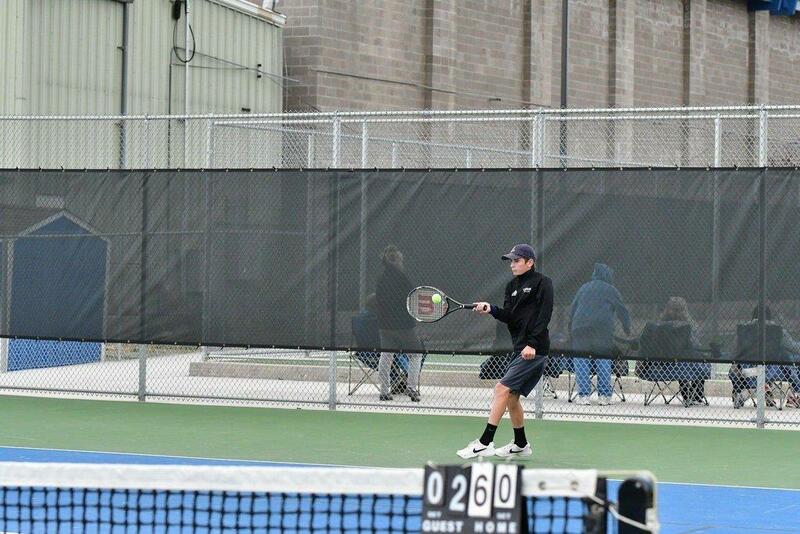 Second singles saw Carson Martines victorious with a score of 6-4, 6-2. 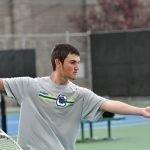 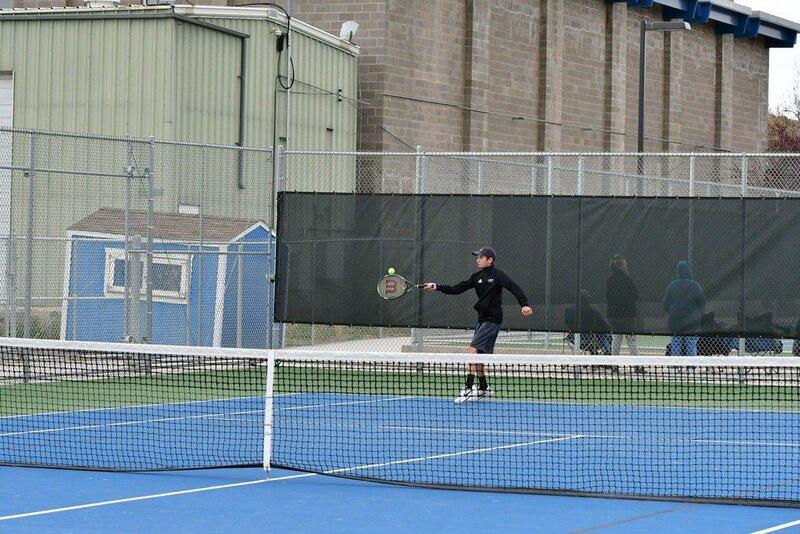 Chandler Clifford was unable to secure a win in the third singles and the score ended with 1-6, 3-6. 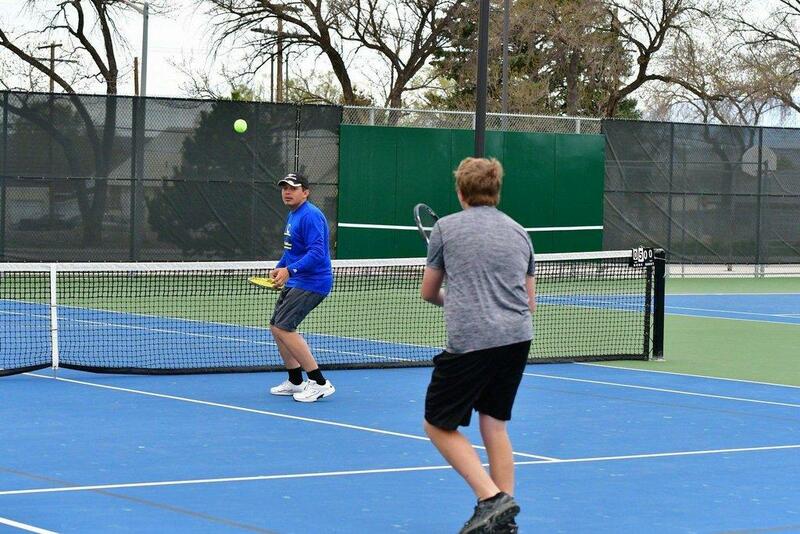 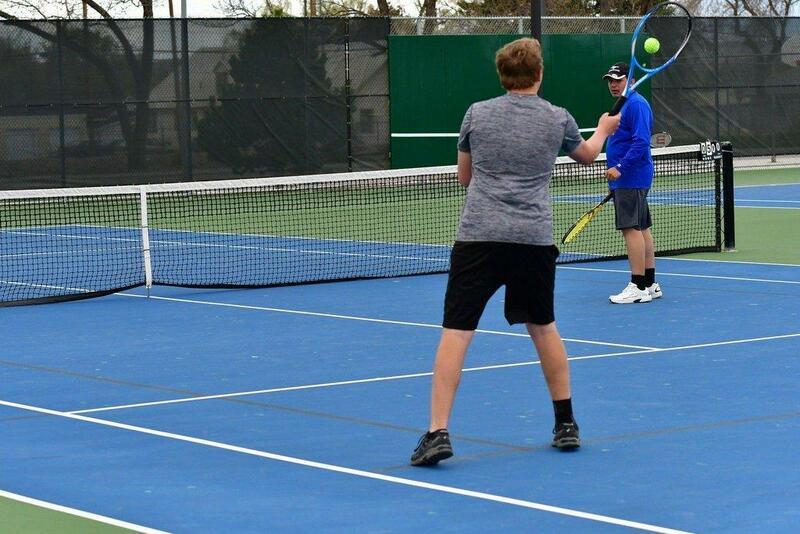 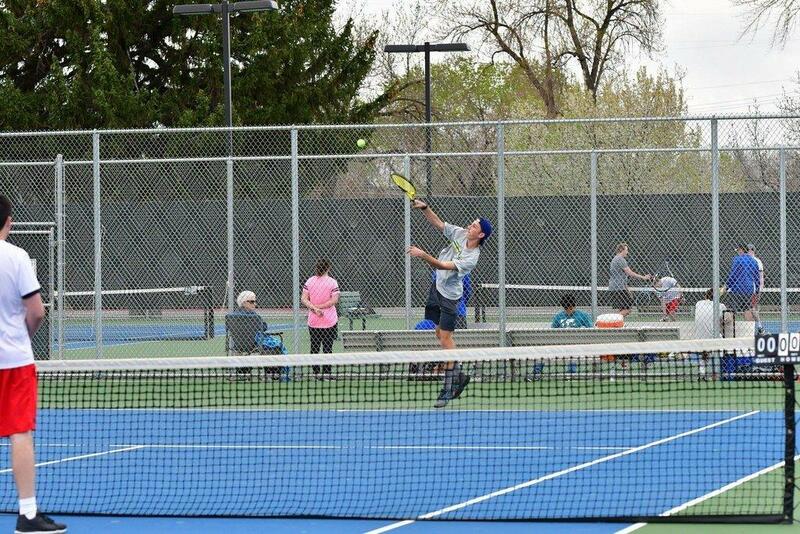 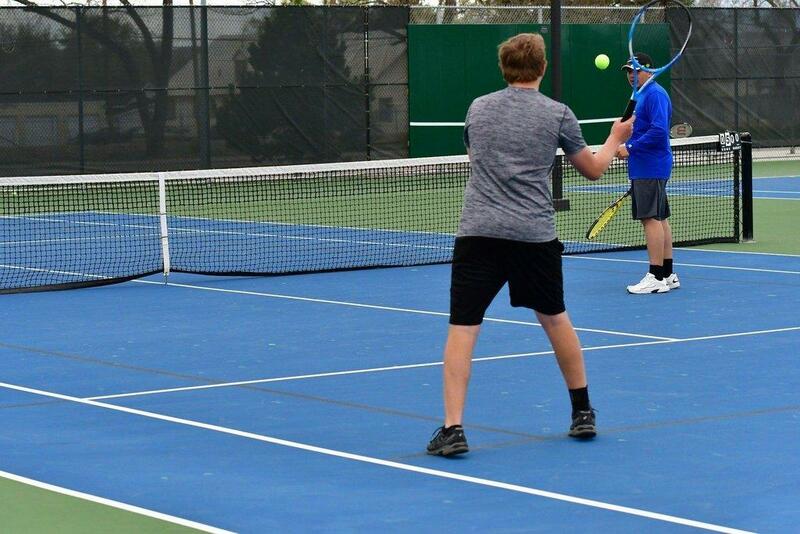 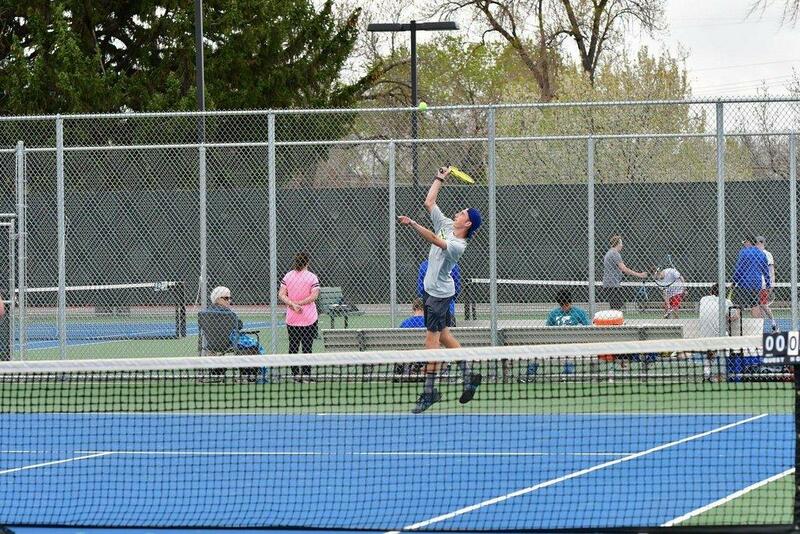 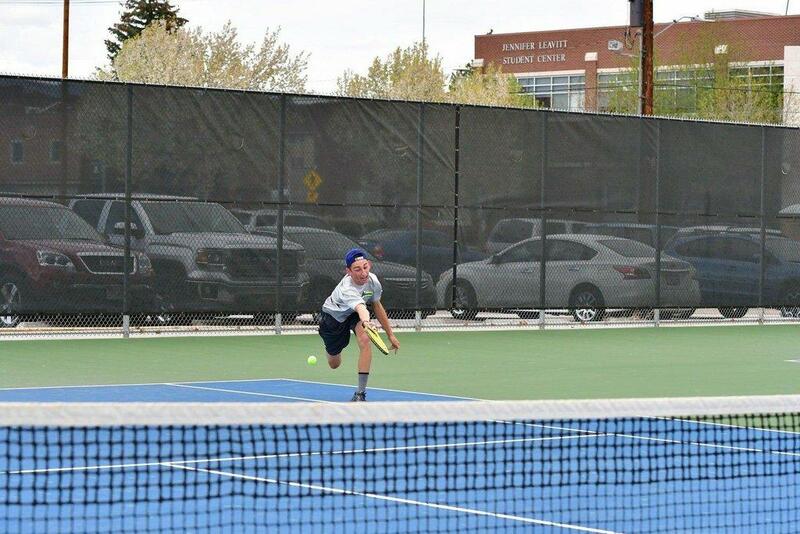 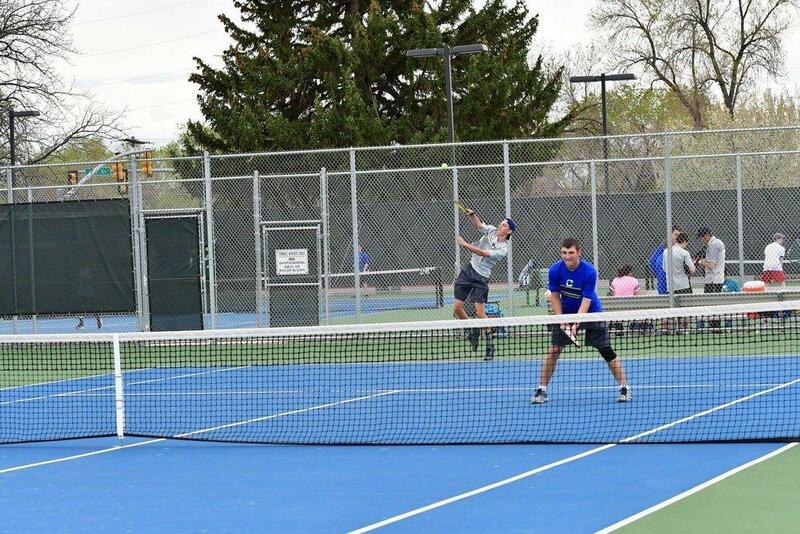 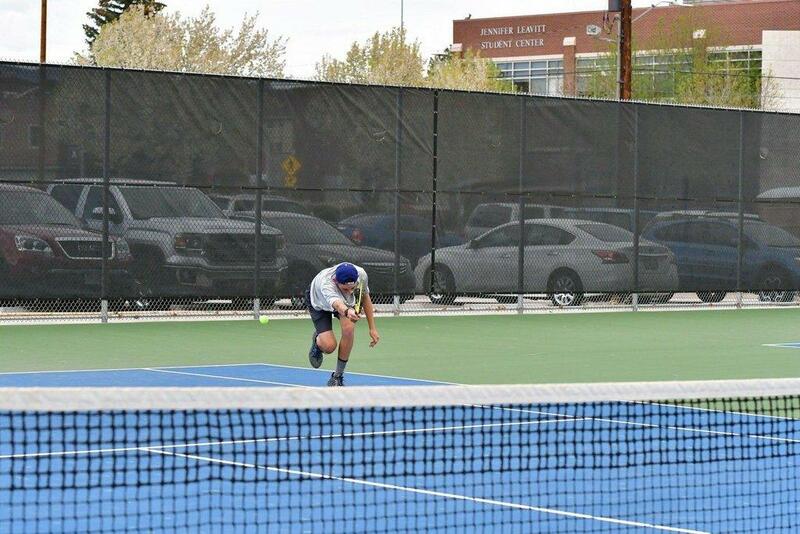 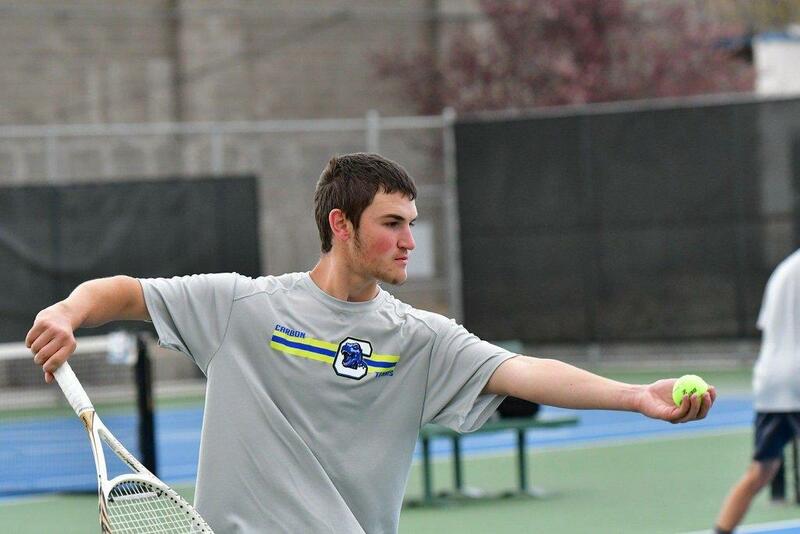 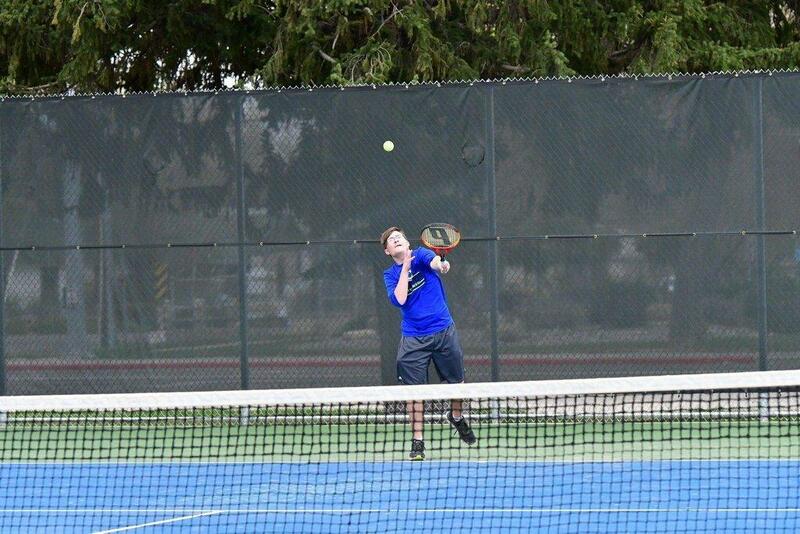 Although Canden Stockdale and Jackson Rosier started first doubles strong, they found themselves unable to keep the lead and lost with a score of 4-6, 6-7. 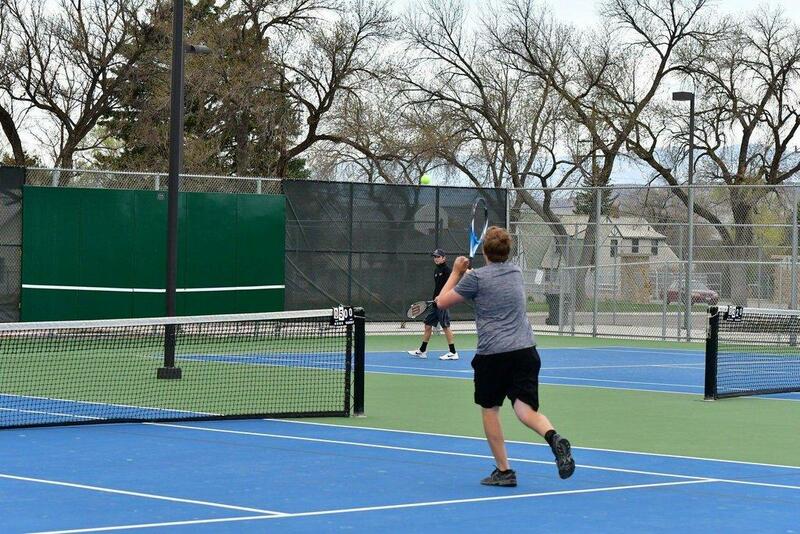 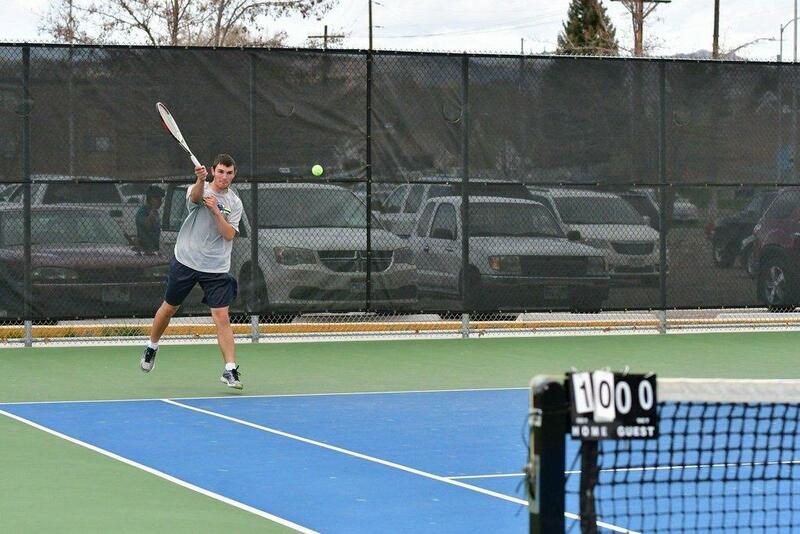 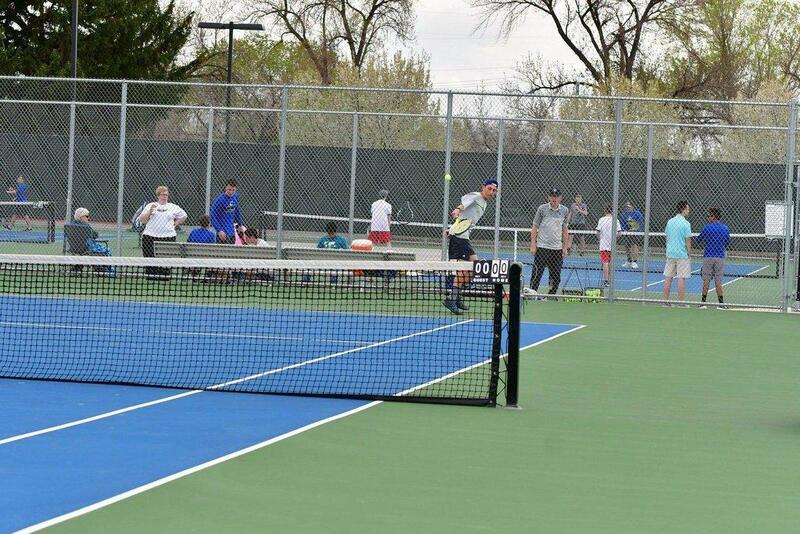 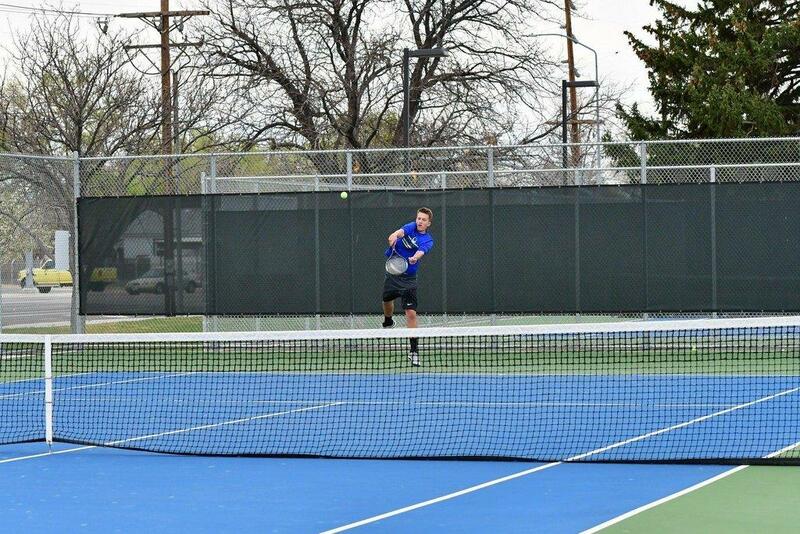 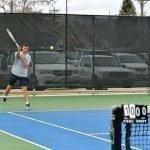 Conversely, the second doubles duo of Jack Christensen and Bonham Brewer started slowly and picked up speed. 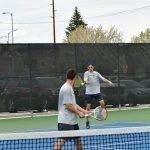 They lost the first set 6-7, but secured wins in the last two sets with scores of 6-1, 6-0. 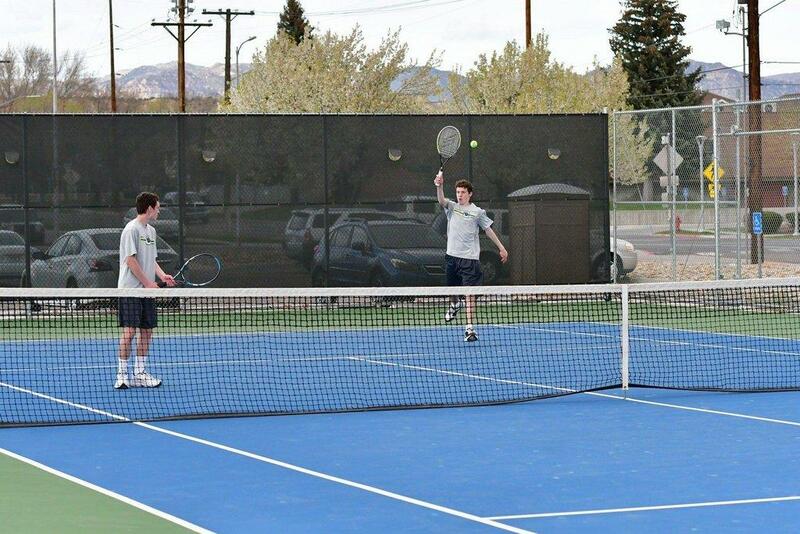 The boys’ then hosted Providence Hall in Monday’s match, seeing a better ending with a winning overall score of 5-0. 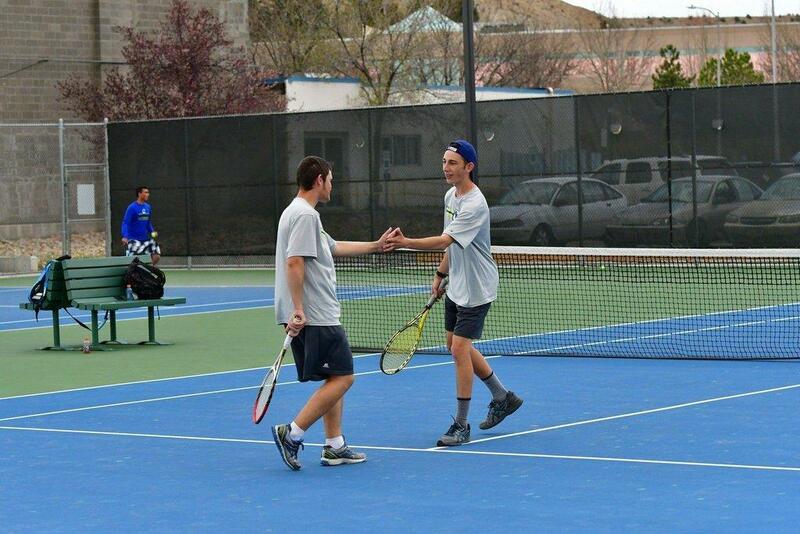 This match was the team’s last home game of the season. 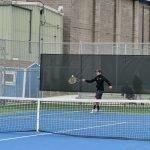 “Carbon swept their opponents, winning all of the varsity spots, as well as three JV spots,” head coach Pete Riggs said. 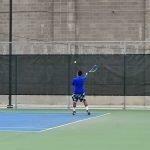 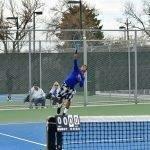 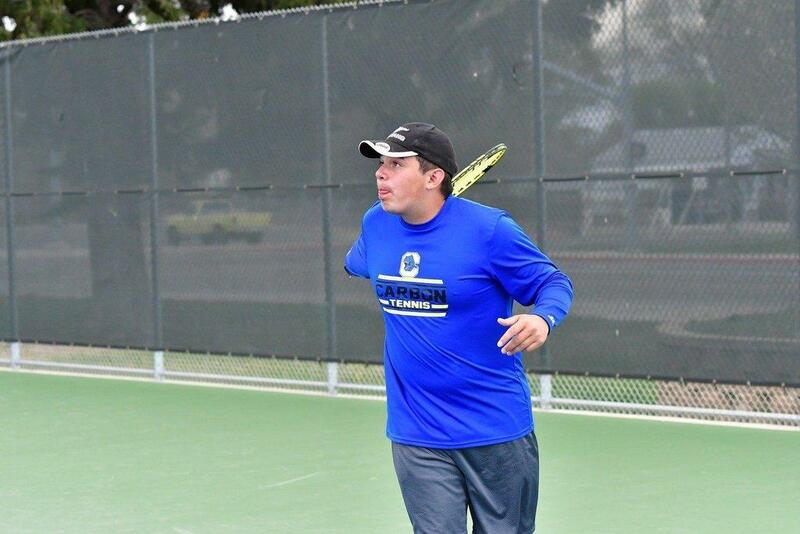 First singles saw Carrillo beating his opponent with a score of 6-0, 6-1. 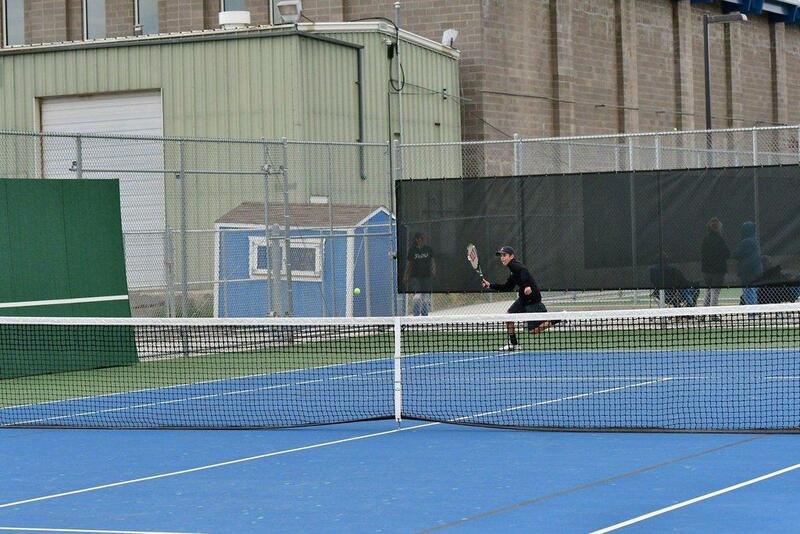 Second singles had Martines finishing triumphant as well, with a score of 6-0, 6-0. 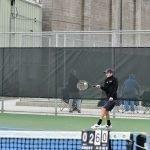 Third singles rounded out the winning streak with Clifford ending with a score of 6-2, 6-2. 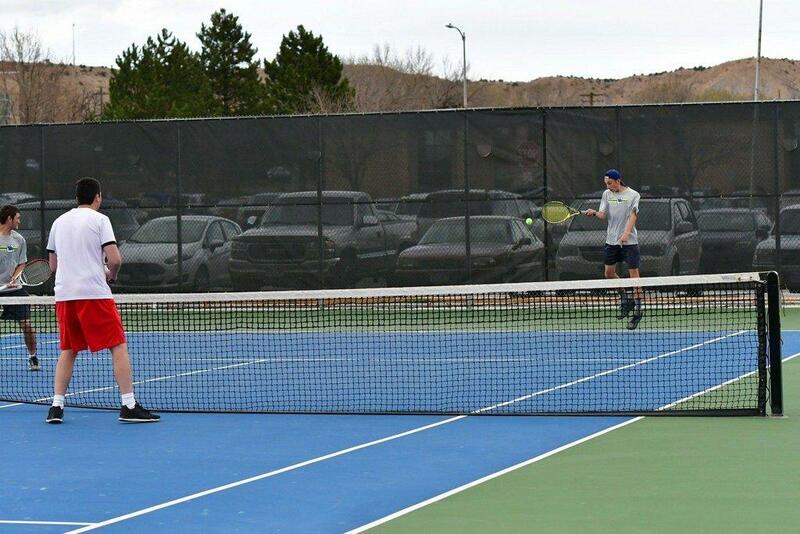 Although Rosier and Stockdale struggled a bit in the second set, the first doubles duo won overall with a score of 6-3, 3-6, 6-0. 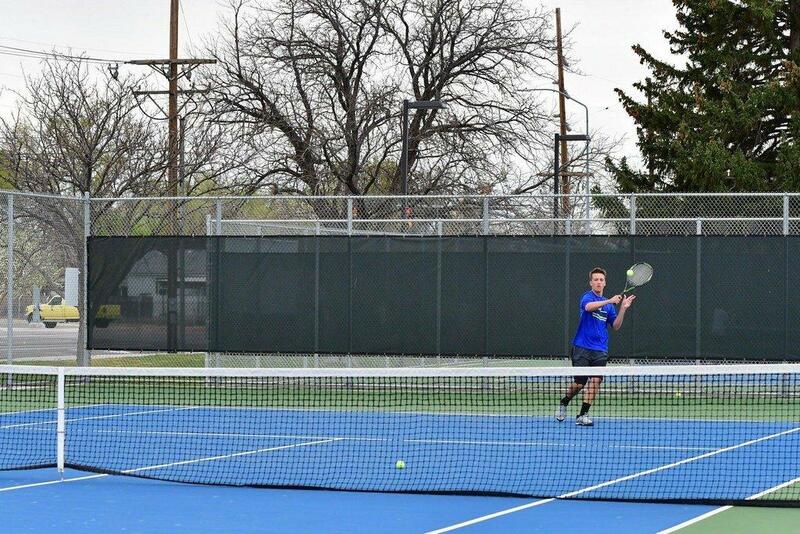 Second doubles saw Bonham Brewer and Donovan Taylor leaving their opponents scoreless at 6-0, 6-0. 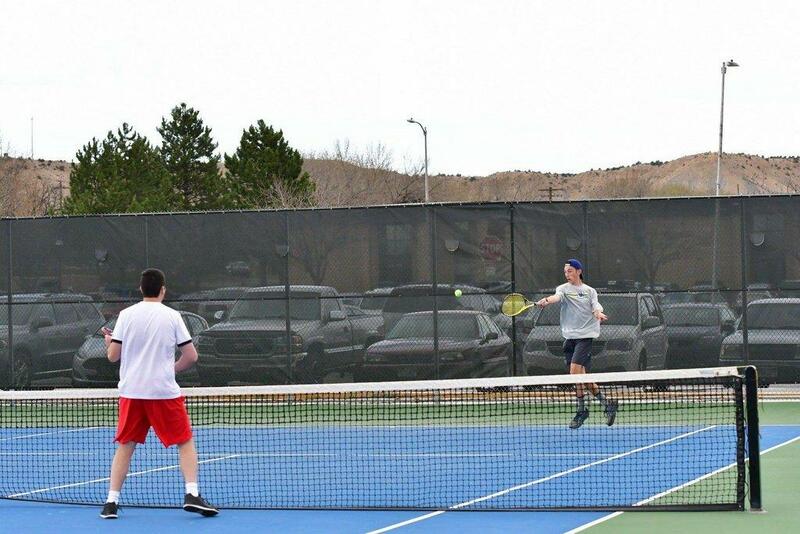 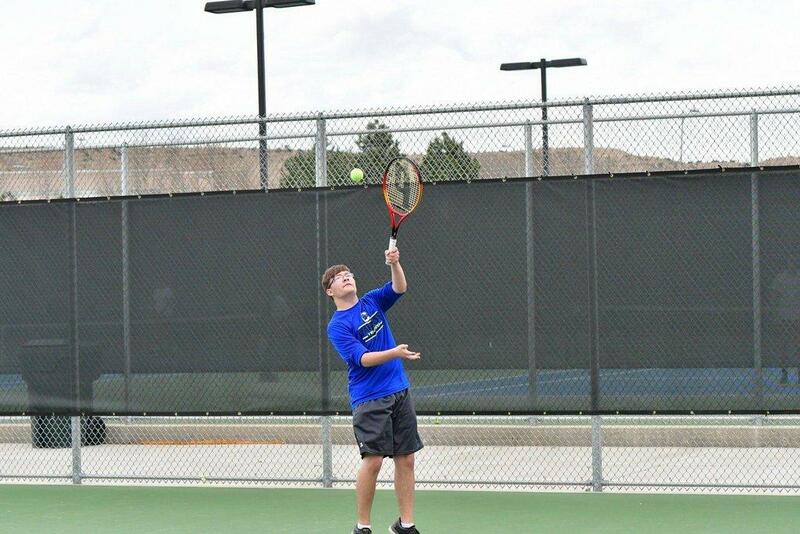 In junior varsity, Jack Christensen won 8-2 in singles, Jacinto DeLeon nabbed a win in his singles match 8-0 and Jack and Leonard Livingston won their doubles match by the score of 8-4. 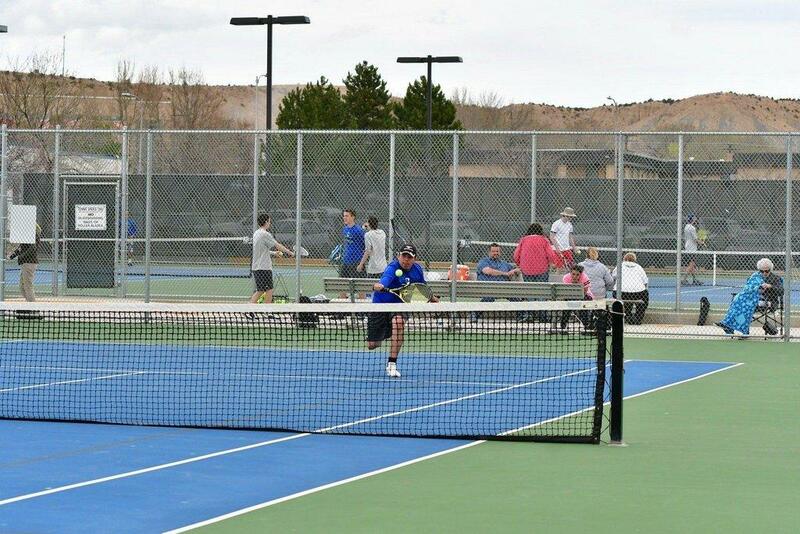 The team will next look to the region tournament in Liberty Park on Friday, April 27.